Wondering how to reduce water costs in your hotel or residential commercial property building? The majority of water used is probably in the restrooms, so a great place to start is by replacing as many of your existing toilets with low-flow models, and installing high efficiency heads in your shower as well as motion sensors on your sinks. Consider installing sink aerators as well – these can reduce the flow of water by 1.5 gallons/minute. Another major use of water in a hotel is laundry. Implementing a well run linen reuse program can save you 17% in laundry costs. 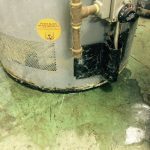 Upgrading to ENERGY STAR equipment and training your staff to wash only full loads of laundry are also good places to make changes and reduce water costs. In your kitchen, upgrades in equipment alone will reduce usage by about 10%. Train your kitchen staff to presoak dishes, run only fully loaded racks through the dishwasher and be conscious in general about how they use water. One other place for reducing use and therefor cutting costs in in your landscaping. It’s best to water the lawn early in the morning or late in the evening, and only for 15 minutes at a time. Rain barrels make a fun addition to any landscape plan, allowing you to catch rain (free water) that can be stored and used later! Running a profitable restaurant requires more than creating delicious meals. You need to watch your bottom line and reduce expenses too. Cutting water costs is a great place to start. Restaurant owners know to stay on the lookout for ways to save. Running a watertight ship is essential to keep your place afloat. Without watching utility costs, you could be flushing water down the drain. Here’s how to cut your water costs and boost those profit margins.